This year Arlington Public schools are partnering with Healthy Schools. Healthy Schools is the nation’s largest school vaccine provider, and they are giving flu shots to APS students. The flu shot clinics are seven days from November 26 to December 4. The Healthy Schools flu shot clinics have qualified nurses. The copay is $0, so basically there is no cost to families. They encourage all families to help fight the flu this season, especially since last year was one of the worst in more than a decade. 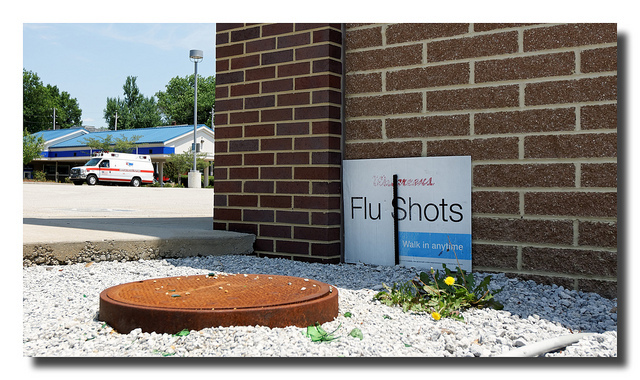 The school is one place to to go for your flu shot, but you can also go to your family physician. If you are getting the flu shot at Wakefield on Tuesday, November 27th, you have to have your parent or guardian register. Click HERE to register. A flu shot reduces your, your family’s, and your community’s risk of getting the flu. Flu shots save lives. Here at Wakefield our flu shots are on Tuesday, Nov. 27 starting at 11:40 a.m. Further information here. And another place to go if you want to go straight to the official flu clinic registration is here. And if you have any more questions call 1-800-566-1596.